When one spouse moves to a nursing home, many times it's expected that the spouse in the nursing home will be the first to die, but we see many times that this isn’t always the case. ​What happens to a person's Medicaid benefits when their spouse dies first? If the proper pre-planning steps aren't taken, the death of a spouse can affect the Medicaid recipients eligibility for Medicaid when the recipient inherits any assets. In order to be eligible for Medicaid benefits, a nursing home resident may have no more than $2,000 in assets [Delaware]. The Medicaid applicant's spouse (called the "community spouse") can keep more assets. In general, the community spouse may keep one-half of the couple's total "countable" assets up to a maximum of $123,600 [Delaware, 2017]. When a married couples assets are great than the $123,600, the spouse applying for Medicaid can, under certain conditions, transfer assets to the community spouse. The death of a Medicaid recipient's spouse can affect the amount of assets the Medicaid recipient has, and therefore his/her Medicaid eligibility. For example: Joe is a resident in a nursing home and receiving medicaid benefits, his wife Jane [the "Community Spouse"] has the house and $35,000 in her name. If Jane dies before Joe and her Will leaves her estate to Joe, the additional assets will make him ineligible for Medicaid. Even if Jane's Will does not leave anything to Joe, most states allow a spouse to claim a share of the estate [1/3rd in Delaware]. If the Medicaid recipient were to refuse their share of the inheritance, Medicaid will assess a penalty [refusal of an inheritance is the same as an improper transfer]. The couple's house will also become a problem. Since most spouses own property jointly, if the community spouse dies, the Medicaid recipient will own the house. Once the home is owned by the Medicaid recipient it will count as an asset. There may be strategies available to have the home not counted as an asset, depending on the circumstances of the the recipient but either way, a lien would be placed on the home for Medicaid estate recovery. If the recipient were to sell the home, the funds received would make him/her ineligible for medicaid benefits until the funds were spent down at the nursing home. Proper - pre-planning would have resulted in the couple's children receiving the home and assets remaining after the "Community Spouse" had passed. To prevent a community spouse's death from affecting the institutionalized spouse’s Medicaid eligibility, it is important that the community spouse take the necessary steps to protect themselves, their children and the spouse in the nursing home. ​Social Security Changes in 2018, how will you be affected? Social Security recipients will get a 2 percent cost-of-living adjustment (COLA) in their monthly benefit payments starting in January, the largest increase since 2012. Announced on Friday by the Social Security Administration, the increase will boost the average beneficiary check by $27.38 per month, or about $329 a year. The increase is the largest since a 3.6 percent hike in 2012. The adjustment was a minuscule 0.3 percent increase in 2017, and there was no change in 2016. However, the cost of Medicare is increasing for most as well, leaving most to actually receive less each month because the increase does not keep up with the increase costs associated with Medicare due to the Affordable Care Act. There has been a “hold harmless” provision in federal law that prohibits Medicare from raising a person’s premiums if it reduces their Social Security benefits. For the past two years, most Medicare beneficiaries have been held harmless because, without a significant increase in income, increasing their premiums would have resulted in lower Social Security benefits. However, in 2018, the increase will be large enough to allow for the increase in Medicare premiums. It's a way for the government to force an increase in Medicare premiums on the elderly. The law states that the increase in income must be a certain level to raise Medicare premiums. So when the government wants to raise the Medicare premiums, they raise the income just enough to allow for an increase in Medicare premiums. 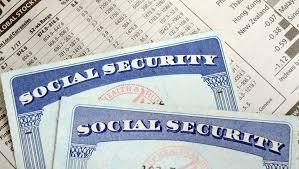 That way the government can tell tote that Social Security income is rising, but in reality, about 42 million Seniors receiving Social Security payments will actually be receiving less money AFTER the increase than before. The Social Security Administration also announced that the maximum amount of earnings subject to Social Security tax, now $127,200, would climb to $128,700 next year. Special needs trusts are made specifically for the benefit of disabled or mentally ill beneficiaries. The need for the trust may be because the individual lacks the mental capacity to manage their own finances or they may be able to manage their funds but because of the income and asset restrictions for SSI and Medicaid benefits, they cannot have control over the assets in the trust. The trust is created with the specific needs, lifestyle, and future of the beneficiary in mind. Often times these special needs trusts are used to ensure that the beneficiaries don't lose government benefits they are receiving. The trustees of special needs trusts can be family members or, if an appropriate and trustworthy family member is unavailable, a third party can be chosen or appointed by the court. Choosing the right trustee must be done very carefully, especially for special needs trusts that are used for the benefit of a younger person. First Party SNT - a first party special needs trust is funded with the assets owned by a disabled person such as those received from an inheritance or personal injury settlement. These trusts can be created by the disabled persons parent, grandparent, court order or as of December 2016, the disabled person themselves can create and fund the trust. The funds in a first party SNT are subject to Medicaid payback provisions. Third Party [SNT] - a third party SNT is created by a donor – the person who contributes the funds to the trust. 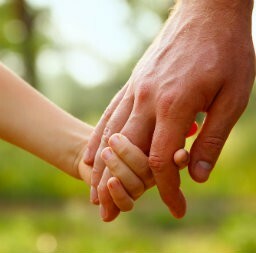 These trusts are funded with assets that never belonged to the trust beneficiary and are typically designed as part of the donor's estate plan to receive gifts that can help a family member with special needs while the donor is still living and to manage an inheritance for the person with special needs when the donor dies. These trusts cannot hold assets belonging directly to the disabled Person. Third party SNT's to not have Medicaid payback provisions, however, they do count as transfers for the Medicaid look-back period for the person transferring the asset to the trust. Pooled Trusts - A pooled trust is a trust established and administered by a non-profit organization. A separate account is established for each beneficiary of the trust, but for the purposes of investment and management of funds, the trust pools these accounts. They can be first party of third party trusts and are generally used when there is no other trustee available for the trusts mentioned above. How does the beneficiary access the funds in a special needs trust? Having the trustee directly give your loved one money would disqualify him or her for government benefits. Instead, the trustee must use the trust assets to purchase necessities for your loved one. The trustee can buy services and products, like personal care attendants, vacations, home furnishings, medical and dental expenses, education, vehicles, physical therapy, and even recreation. Because the payments received from SSI by a disabled person is meant to pay for food and shelter, if the trustee of a special needs trust pays for the beneficiary’s food or shelter, the amount paid is considered income to the beneficiary. Specifically, it’s called in-kind income or in-kind support and maintenance (ISM). The SSI program treats ISM differently from other types of income. If the ISM can be assigned a specific value, that amount is deducted from the SSI grant—up to a limit. The amount of the deduction is currently capped at $265 (for 2017). That’s one-third of the maximum federal portion of the SSI grant ($735 in 2017) plus $20. There are times that paying for shelter and receiving the deduction makes financial sense and other times it does not. Please consult a specialist to help with your Special Needs Planning to ensure the disabled individual is cared for and the Trustee manages the trust assets properly. What you should know about Medicaid in Delaware. Delaware's Medicaid program has strict income limits for qualifying for nursing home care coverage. ​When a loved one needs long-term care one of the first thoughts that come to mind is - "How Will We Pay for That Care?" Delaware's Medicaid program pays for long-term care costs for At-Home Care, Assisted Living and Nursing Home Care. Long-term care costs are rising each year, in 2017 the average cost of skilled nursing care in Delaware was $310/day or $113,150 per year. Assisted Living is a bit less around $78,000/year but still will be an amount that is difficult for most families to afford especially since the average stay in an assisted living community is about 3 years and even then, most people transition to skilled nursing for another average of 21 months. So, just on the averages alone, a family could be expected to pay approx. $432,000 for long-term care. A cost which most people just don't have the ability to pay for. That's why 73% of all individuals receiving skilled nursing care rely on Medicaid to pay their costs. Medicaid is a program is funded by state and federal dollars and is intended to pay for long-term care costs for those who are aged [over 65], blind or disabled. Today's article will focus on those who are 65 or older. This program is part of the Social Security Act [title XIX]. Medicaid is very different from Medicare, Medicaid is a program that requires strict eligibility requirements be met. Medicare, will not pay for long term stays in a nursing home or any stays in an assisted living community. Delaware residents who are 65 and older and who need long-term care must qualify both medically and financially for Medicaid benefits. The applicant's gross income is capped at $1,858/per month [over that limit must use a Miller Trust] and the maximum assets a person can have is $2,000 [anyone who is married and/or has more assets than that should consult a Medicaid planning specialist to provide asset protection guidance]. The application process is lengthy and difficult. You must apply with the Delaware Department of Health and Social Services. The application process begins with an intake portion, which requires a call to the Medicaid intake office. They will ask medical and financial questions and send an application packet to you. You must complete the application properly and supply all supporting documents. You must then call to schedule a personal financial interview with a Medicaid caseworker who will review your application and make a list of all documents that you did not bring but must supply. This will continue back and forth for up to 90 days. At any time that you miss a deadline to supply information, you will receive a denial. The Medicaid program has what is called a "look back period" of 5 years, which means the Delaware Medicaid office, Delaware Department of Health and Social Services, can examine an applicant's complete financial history for up to 60 months prior to the date you file the application for Medicaid benefits. In that financial examination any withdrawal or check written for more than $250 will be examined to ensure the finds were used in accordance with Medicaid guidelines as well as all deposits other than those form regular income sources. You will need to provide copies financial statements for all open accounts and any account closed in the past 60 months. If the applicant or applicants spouse has sold any property in the past 5 years, you must provide proof of how much was received and where all of the money has gone from the time of the sale to the date of the application. Any funds that have been given away may be counted as an improper transfer and may result in a penalty or denial. Life insurance policies that have a cash value will count as an asset and will need to be addressed as well. You may be able to retain your home without it counting as an asset under certain criteria, however, the equity you can have in your home is capped at $560,000 . Estate recovery is a process in which the Delaware Medicaid program has the right to attempt to recoup any funds paid on behalf of an individual from their estate when they pass away. Which means if you are married and have a house your house may not be counted as a resource for the application process, however, it may be susceptible to estate recovery. If you own a home, you should consult a Medicaid a planning specialist to provide asset protection guidance]. The Delaware Medicaid program is tricky and anyone with any assets at all should seek the guidance of a Medicaid Specialist to ensure that they and their family is properly protected. Busting Senior Care Myths: Does Medicare Pay for Nursing Home Care? Statistics show that more than half of Americans think Medicare will help pay for their long-term care when they are seniors. ​The problem is most likely due to the fact that Medicare and Medicaid sound the same, but they are definitely not the same. Medicare is the federal government program that provides health care coverage (health insurance) if you are 65 or older. Any US citizen can enroll in Medicare starting 3 months prior to their 65th birthday. There are no income or asset restrictions associated and no medical or financial eligibility criteria must be met. Medicare will pay for a short term stay in a nursing home [generally for rehabilitation purposes] if the individual has been transferred from a qualifying hospital stay [many restrictions are associated with Medicare payments to the nursing home]. To qualify for a Medicare-covered skilled-nursing facility stay, you have to have Medicare Part A coverage and have days left in your 60-day benefit period. Before you can enter the skilled nursing facility, you must have spent at least three consecutive 24 hour periods as an admitted hospital patient (not just under observation) and your doctor must say that you need skilled nursing inpatient rehab. Whatever skilled nursing facility you use must be Medicare-approved in order for Medicare to pay for your care. The vast majority of people who need nursing home care will not be able to rely on Medicare to pay for it. Medicare and Medicaid are not the same thing, but many people mistakenly think that they are. Medicaid has a very lengthy application process that involves a 5 year "look-back" period into the applicant and applicant's spouses financial history as well as very strict income and asset eligibility requirements. It’s important to note that many patients spend three days or longer in the hospital only to find that Medicare won’t cover post-hospital skilled nursing care, because they were never admitted or were admitted partway through their stay. Time spent “under observation” in the hospital—even if it’s several days—does not count for Medicare skilled nursing eligibility. For many years, this was such a common cause of confusion that the NOTICE Act was passed by Congress in 2016. It requires hospitals to give you written notice of your status (under observation or admitted) between 24 and 36 hours into your stay. If you meet all of Medicare’s requirements, your post-hospital short-term nursing home stay will be covered during your benefit period. But Medicare will not pay for long-term stays—the kind someone might need if they require help with healthcare tasks every day for months or years, or if they need constant supervision and special care due to dementia. Families who only learn this when a loved one needs care can find themselves dealing with payment issues during an emotionally challenging time. The high cost of misunderstanding Medicare benefits. The problem with the “Medicare pays for nursing homes” myth is that folks who believe it probably aren’t going to make other plans to pay for long-term care –- and that care can be incredibly expensive. In 2017, the national median cost of a semi-private nursing home room was $85,125 per year. For a private room, the cost was $92,387. The average length of time patients spend in long-term care is 2.3 years for men and 2.6 years for women. It’s worth noting that dementia care costs much more than other types of long-term care. That’s because high-quality care for people with dementia requires a secure but inviting environment and specially trained staff who understand how to keep their patients socially engaged and comfortable in their surroundings. According to a 2017 study published in the Journal of the American Geriatrics Society, dementia costs about $185,000 more per patient than care for someone without the disease, for a total cost of care of about $321,000 per person. If Medicare doesn’t cover long term care, how can families manage to afford it? Paying for care with savings isn’t practical for most Americans, because the cost of care far outpaces what most adults have saved for care. Long-term care insurance can help cover costs if your parents bought their policy and chose a policy with a good per-diem coverage rate but policies are expensive and difficult to qualify for. Sell the home outright and use the proceeds to pay for care. In cases where the homeowner needs to move into care right away, before the house can sell, a home equity loan may be an option. Rent the home while continuing to own it and using the rental income to pay for care. 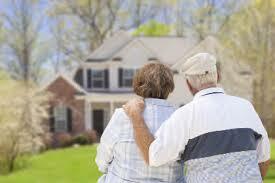 Taking out a “reverse mortgage” to access equity to pay for care. This will require the sale of the home once the owners have passed away or moved out. Qualifying Veterans, their spouses and widows can receive tax free income to assist with paying for long-term care. The Veteran must have served at least 90 days with 1 of those days being during a qualifying war time. The veteran must also meet income and assets tests. As noted above, Medicaid will pay for nursing home care (and in some states, in-home and assisted living care) for seniors whose income and assets fall below a level set by each state. The majority of American seniors in nursing homes use Medicaid to help pay for their care. Medicaid has become the most used insurance to pay for long-term care but when applying, you should retain the services of a specialist to ensure an approval. Pre-planning for long-term care is essential. By having a proper plan in place, you can preserve your hard earned savings and home for your loved ones while ensuring that when the time comes, you and your family will be able to rest assured that your long-term care needs will be met without worry, without selling your home and without bankrupting your family. ​4 things caregivers need to consider when caring for an aging parent or loved one. Many older adults face similar barriers when it comes to navigating health care. It's estimated that by the year 2030, the amount of older American's will double and account for a significant amount of our population. As this population continues to grow, it's important that caregivers are aware of some common issues faced by older adults to ensure their loved ones receive the best care. Here are things to consider when planning for care. According to the Alzheimer's Association's 2017 Facts and Figures, 37 percent of our population ages 85 and over will be diagnosed with Alzheimer's; 17 percent of those ages 65 to 74 and 1 in 10 people over age 65 will also receive this diagnosis. Alzheimer's disease is a health crisis that is not only affecting older American's emotionally but also causing a financial crisis. Associated costs are climbing into the billions for both patients and their caregivers. Although there's not a cure for the disease, preventive measures, such as regular physical activity and dieting, can be taken to reduce the chances of an Alzheimer's diagnosis. Health care education is key when navigating the health care system for yourself or a loved one. Literature suggests that doctors, nurses and other health professionals are falling short when learning about the health care needs for older Americans. It's important that we inform elderly patients of all treatment options and remind them that there are clinicians who are dedicated to meeting their specific needs. Many of my patients first learn of specialties like geriatric medicine after a visit at our center. Navigating a health care system should not become a game of chess. Rather, it should allow individuals the opportunity to make educated and informed decisions about their health care. Medicaid? Medicare? Home care? Nursing home? Assisted living? Understanding the ins and outs about topics related to finances cannot be covered easily, but planting a seed on the importance of reviewing where you or your loved one stands financially is. Along with education on how these resources differ, it's important that families address financial matters early instead of waiting until an emergency. A common myth heard by many patients and caregivers is that Medicare will cover "everything." Many people are unaware that Medicare does not pay for assisted living or many other long-term residential care settings. Such conversations should be frequent when caring for an older adult, and they should happen before the age of 65. Isolation is a growing concern not only for older Americans, but all Americans. To address this reality, adult day centers and Senior centers are available in neighborhoods across the county. Not only are social needs met at these centers, but they assist older adults with activities of daily living, such as cleaning, cooking and personal care. Yet, this seemingly forced socialization is a hard sell, especially for those older adults who aren't typically social butterflies. Similarly, assisted living residences are a great cure for isolation, allowing older adults to build a community of peers and form new bonds through regular planned activities. As the population of older adults continues to increase, it's important that caregivers take the opportunity to educate themselves to make the best decisions to meet the needs of their loved ones. Take the initiative to address these matters in advance to help your loved one age independently. Questions about how your aging parents will pay for the care they need? Contact us today for a FREE consultation. Kaiser Health News reports that while the website is helpful to families looking for information about hospice care, patients looking for hospice care need additional information, including the hospice staff's average caseload, the percentage of patients discharged alive, and the share of the hospice's resources devoted to at-home care versus nursing home care. A robust hospice rating system is badly needed, according to a Kaiser Health News investigation. A review of 20,000 government inspection records found that some hospice providers often missed visits and neglected patients who were dying at home. Families or caregivers have filed more than 3,200 complaints with state officials in the past five years.